Specialized mics are oftentimes hardly impressive, but not when it comes to the Audix Fireball V. The fact that it looks like a body-less SM58 usually draws a few scoffs, but this mic packs a surprisingly powerful punch. 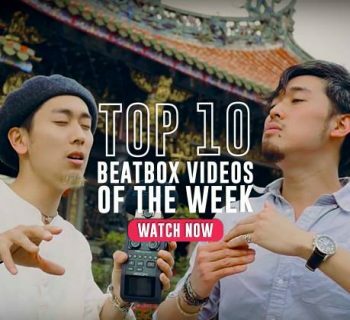 Rule number one: don’t be fooled by its size, because the Audix Fireball V is an incredibly versatile microphone designed specifically for beatboxers and harmonica players alike. 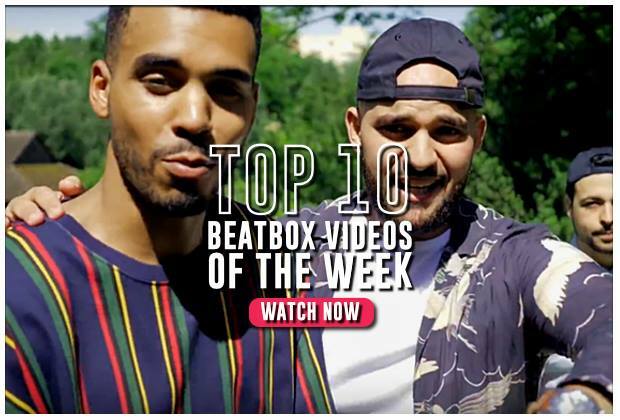 The Audix Fireball is a small, high-performance dynamic microphone designed to capture the high and transient (sudden) sound levels created by beatboxers. 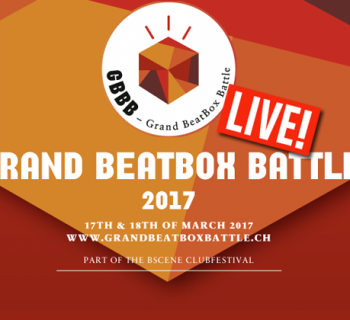 It can be used for both live beatboxing and recording beatbox in the studio. As you can see from the pic it's compact and comfortable to hold. In fact, it's designed to be cupped in the hand without affecting the sound quality. Cool eh? It also has a rugged XLR clip because Audix knows that you're going to be connecting and disconnecting more times than a 1980s modem. Unlike a lot of mics, the Fireball was designed in the USA and is manufactured in the USA. And to top this, Audix are so confident with the build-quality of the fireball that it comes with a 5-year manufacturer warranty! This light, but sturdy microphone champions an iconic deep red pop filter, and a red volume adjuster, all designed perfectly to be cupped right in the hand. The small body makes it super easy to hold in close proximity, and its ability to hold pressure up to 140dB proves just that. For context, SM58 withholds 126dB pressure. There is definitely more than what meets the eye with this mic. 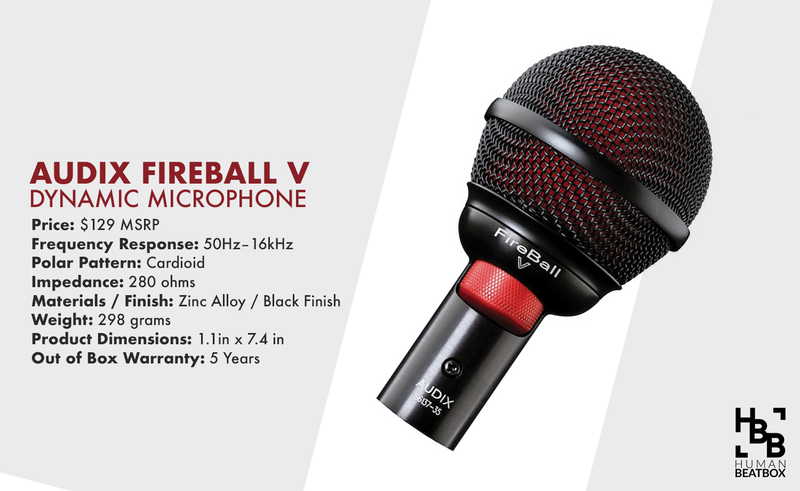 The Fireball possesses a wide frequency response range from 50Hz to 15kHz, which is comparable, if not better to other mics in the same price range. This microphone was engineered to excel in close-quarters. Since it can take on pressure up to 140dB, there is little to no distortion or pops when using this mic. It pulls a powerful low-end, while also accentuating crisp hi-ends for hi-hats and snares. 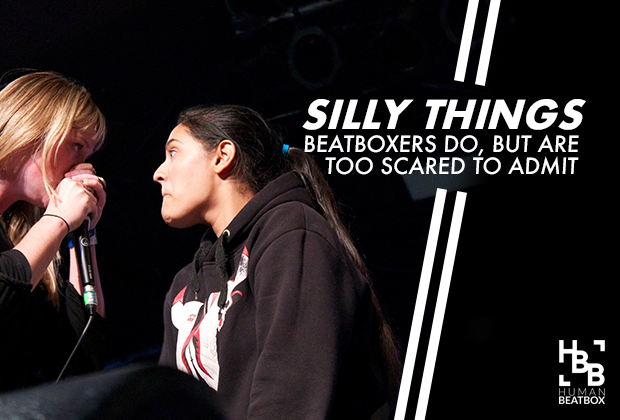 We’re surprised this mic isn’t used more often in battles! 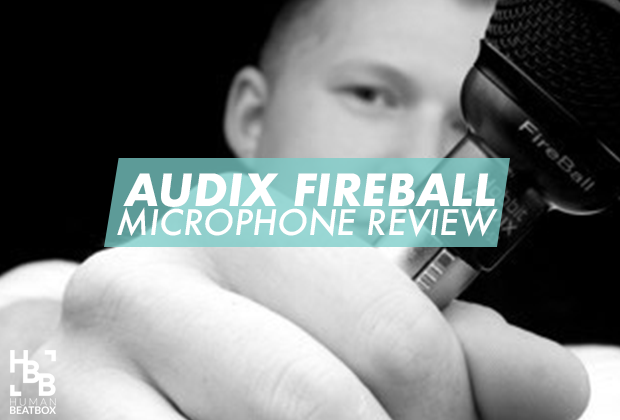 The Audix Fireball is the perfect compact microphone for beatboxers and musicians alike. Sitting in the middle-tier price range, this microphone is tough to beat as it’s a perfect combination of utilitarian design and powerful performance! Want to purchase this mic? Find the best deal on Amazon here.